Lenovo Lemon 3 is the second flagship from Lenovo this year after Lenovo K4 Note (Lenovo Vibe S1 Lite). The phone has been launched in China. As usual, the phone has been beautifully priced to keep it in reach of an average man. It is priced at 699 Yuan or $105 or Rs. 7,000 in the Indian currency. That’s about the price, let’s check out what has Lenovo stored for us in this handset. The sports a 5 inch 1080p IPS display with Lenovo’s custom interface and a screen density of 441 ppi comes in 2 colors – Silver and Gold. Under the hood is an octa-core Snapdragon 616 processor ticking at 1.5 GHz, Adreno 405 GPU, 2 GB RAM, 16 GB internal storage and an additional external expandable storage. It will run on Android 5.1 Lollipop. The phone will be equipped with dual cameras on the front and rear end. A 13 MP rear camera and a 5 MP front camera. The Lenovo Lemon 3 is a dual SIM phone with GSM/HSPA/LTE connectivity. Other wireless connectivity includes Bluetooth, Wi-Fi, A-GPS and microUSB. The phone is as light weighted as 142 grams only and is 7.99 mm thick only. There will be dual audio speakers powered by Maxx Audio for a super awesome sound experience. 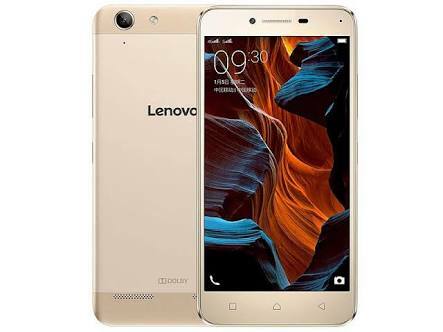 The Lenovo Lemon 3 is backed up by a giant battery of capacity 2750mAh which is supposedly to stand by for 15 days on 4G, talk time of 32 hours and 12 hours of audio playback and 6 hours of video playback. The phone is available in China in Lenovo’s online store. Previous articleVerizon Samsung Galaxy Note 4 Gets Android 5.1.1 Lollipop Update.